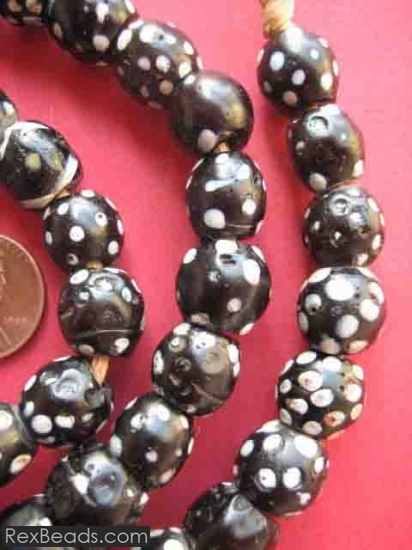 Skunk beads are beautiful wound and decorated African trade beads which create great strands of jewelry items. Originally made in Venice, these beads were commonly used for trading purposes in Africa during the eighteenth and nineteenth centuries. Skunk beads are a must have for every collector worth their salt and today grace many private collections around the world. 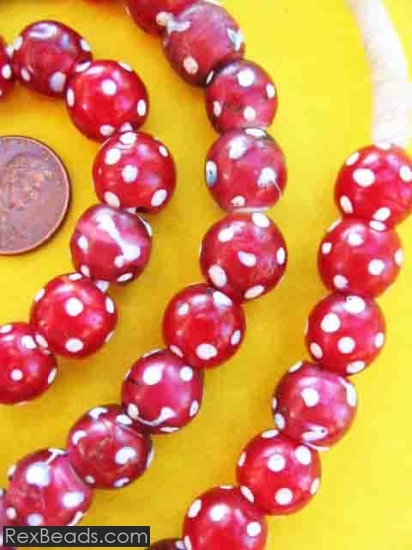 Because of the increasing popularity of skunk beads amongst bead lovers today, African bead traders now have to go deeper into Africa to find more of these skunk beads which are becoming rarer with each passing decade – which of course makes them even more collectable.